Similar to many other multi building residential developments we have built over the years. 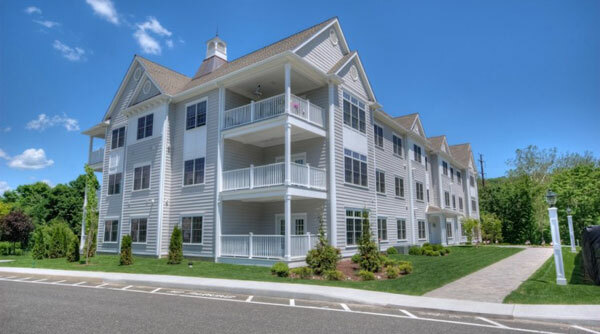 Newbury Village has three buildings of multi-story residential over fully enclosed private parking. The units are all custom trimmed with concealed sprinklers heads. The buildings are protected by NFPA 13-R residential sprinkler systems in the wood framed portion, and a full NFPA 13 commercial dry system in the garage space below the concrete pedestal base. The building also has Class-I manual standpipes in each emergency staircase. The residential system is installed utilizing CPVC piping which allows for quick and economical installation.